"Thought-control technology" company Jedi Mind Inc. has been slapped with a lawsuit by Star Wars creator George Lucas over what would seem to be a fairly obvious case of trademark infringement. "Jedi Mind, Inc. develops software for thought-controlled technologies, allowing the user to interact with the computer and other machines through the power of the mind," according to the company's website. Using the Emotiv EPOC Neuroheadset, which detects brainwaves on both the "conscious and non-conscious level," Jedi Mind's software allegedly allows users to interact with their computers and control their games using only the power of their minds. Jedi Mind, obviously, takes its name from the famous Force-wielding gang of do-gooders in the Star Wars franchise and as you might expect, that hasn't gone over well with the people behind it. LucasFilm sent a cease-and-desist letter to Jedi Mind back in May 2009, leading CEO Brent Fouch to say he'd "phase out" use of the Jedi name. But nothing was done, resulting in a second C&D in September, yet the use of the name continued. Now it appears that George Lucas himself is tired of Jedi Mind's tricks. 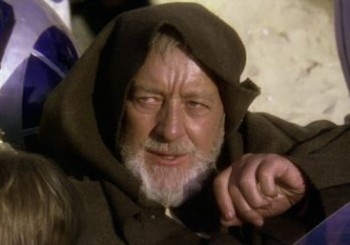 Lucas has launched a $5 million lawsuit against the company, alleging that Jedi Mind is infringing upon his trademark. LucasFilm doesn't hold a trademark on "Jedi Mind" directly but it claims ownership of "all characteristics associated with the Jedi knights not memorialized in a registered trademark ... (including) Jedi robes, the lightsaber weapon, the power to levitate objects, a telepathic oneness with other Jedi and the universe, and the ability to shoot energy beams called 'Force Lightning' from the fingertips." Jedi Mind currently makes three applications for use with the Emotiv headset: Think Tac Toe, Master Mind and Jedi Mouse, which allows users to "navigate the computer, click and double click to open programs, compose email and send with the power of their mind."